Whenever we come across a huge bungalow or a fancy car, we tend to wonder how some people manage to become so rich! Some become wealthy through hard work, while some others get lucky. Lotteries are extremely lucrative and are known to completely flip people’s lives overnight. Playing lotteries and winning jackpots is not only about luck. Intelligent calculations and smart purchasing can ensure that your chances of bagging the big prize can be increased. In fact, a lot of people that win jackpots end up losing all their money and coming back to square one way too soon. It seems that just winning a jackpot is insufficient while the more important part is to use the prize money smartly and efficiently. But, in the end, it is left to the imagination and choice of the winner to use the jackpot according to their wish! Here are some interesting stories about how lottery winners spent their jackpots. INR 30 crore is a huge amount of money! When John Kutey won this massive sum of money, he and his wife decided to build and run a water park. A fun, recreational place for family and friends alike! In the memory of their loving parents, this millionaire couple decided to invest their prize money in building this wonderful park! When Nigel Willets won INR 70,515,500 by chance, he decided that the best way to spend it would be to travel the whole world! After all, for some experience counts more than riches! 19-year-old Jonathan Vargas won a jackpot of more than INR 211 crores! He started a female wrestling show called, Wrestlicious! Weird use of so much money, do you think? Well, once you have the money you can do whatever you want with it, literally! All of us work hard throughout our lives to make sure we save money to build the right kind of home! When the Griffiths won a huge sum of INR 12 crores, they decided to buy the most expensive home and cars that they could afford! After all, there is no harm in showing your riches when you really have them! Do you feel excited now? So, go out there and try your hand at becoming an overnight millionaire. For all you motivated people, the world leader in offering online platforms for international lotteries, Lottoland is now coming to India as well. It is the best online platform for playing safe lotteries and ensuring that your money is at a genuine place. What are you waiting for? Check out the range of games and lotteries Lottoland is offering online right now and get ready to become a millionaire!! 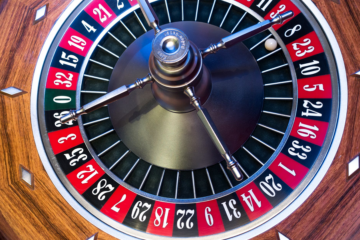 Online Roulette: Most Thrilling Online Casino Game!